The Mitsubishi CP-D70DW is Mitsubishi’s Flagship Dye Sublimation Event Printer. It is ultra-reliable, super fast and produces high resolution images. The quality is unbelievable. The Mitsubishi CP-70DW is one of the favourite printers among Event Photographers. You can quickly set up it and let it work it’s magic. The Mitsubishi CP-D70DW Dye Sublimation printer incorporates newly developed image processing methods, making it possible to reproduce excellent true to life prints. The CP-D70DW uses a new image-processing algorithm that enhances natural image sharpness and clarity and brings out the best in event photographs. Making it possible to reproduce true to life prints. Fast, compact and producing superb lifelike colours, it’s no wonder it’s Mitsubishi’s Flagship Event Printer. Comes with 2 year’s warranty or 100,000 prints! Very Popular Printer – Despite being released over 5 years ago, the CP-D70DW is still very popular among customers and professionals alike. Our sister company Image Insight used these ultra-reliable printers for the London 2012 Olympics. Fast – Prints a 6″x4 image in less than 8 seconds! Print Modes – Choose from Fine (High Speed) and Super Fine (High Resolution) Print Modes. It is one of the fastest event printers on the market – it can produce 6″x4 images within 8 seconds and has a print capacity of 400 images. The Mitsubishi CP-D70DW also benefits from a compact and lightweight design, with measurements of 446 mm x 140 mm x 275 mm and a weight of only 12kg. It takes up only 40% of the volume space of the previous CP9810DW printer. This single deck printer has some of the lowest running costs on the market as well as highest print quality and versatility. Mitsubishi’s CP-D70DW, full-featured event photo printer, is a quick, lightweight professional photo printer capable of Super Fine Matte finish prints, and Fine or Super Fine glossy photo prints with Mitsubishi’s reputation for quality, reliability and efficiency. 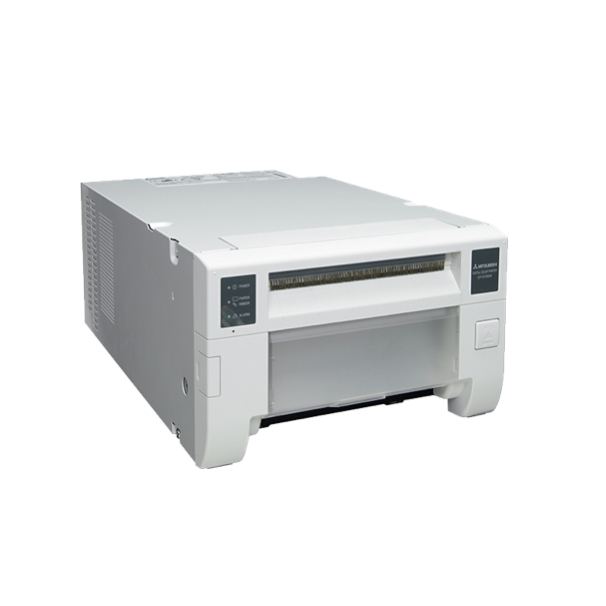 The Mitsubishi CP-D70DW has a front loading construction so the media and ribbon can be easily and quickly replaced. 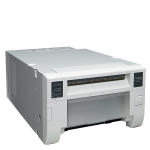 At System Insight, the Mitsubishi CP-D70DW is not only our best selling printer, but our sister company Image Insight also uses them for their photographic solutions. This means that we know how reliable the CP-D70DW is first hand. Looking for an Ex-Demo Printer? Why not look at our wide range of Ex-Demos available including the CP-D70DW. Try it for yourself and amaze your clients and guests – Rent a CP-D70DW or book yourself a CP-D70DW Demonstration and see for yourself! FACT: We provided Souvenir Photographic Services at the London 2012 Olympic and Paralympic Games where we used twelve Mitsubishi CP-D70DW Printers producing over 66,000 prints without a fault!